Last night, players and NBA personnel were awarded for their efforts during the 2016-17 NBA Season. Russell Westbrook was awarded the MVP Award. Malcolm Brogdon was named Rookie of the Year after a lackluster year from the latest class of rookies. Eric Gordon was named 6th Man of the Year as well. Draymond Green earned another Defensive Player of the Year crown as well. But there’s an issue, there are more awards to be given out and someone must give them. Here are the NBA Superlatives for the 2016-17 Season. Giannis averaged 22.9 PPG, 8.8 Reb, and 5.4 Asts and carried the Bucks on his back. Representing Greece, this player has truly become a sensation for the fans and a headache for anyone who faces him. John Wall and Bradley Beal averaged around 23 points this past season. 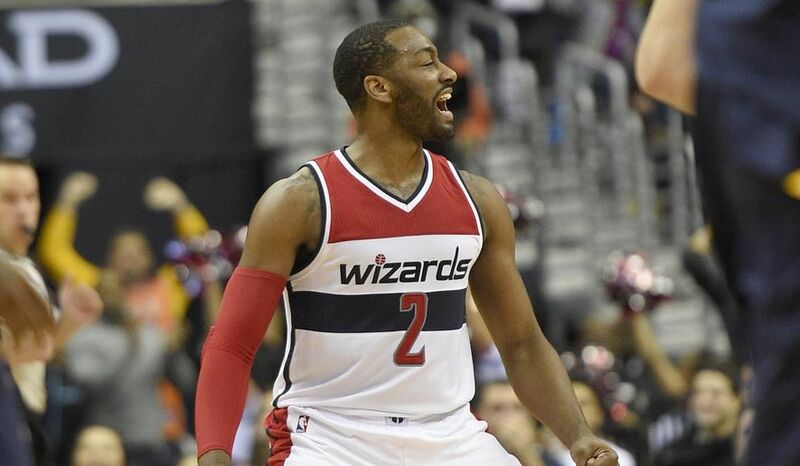 A year after missing the playoffs, the Wizards were one game away from the Eastern Conference Finals. This duo shined every chance they had and it was noted. The Wizards had one of the best seasons and recent memory and it mostly ran through these two. Honorable Mention: Lillard and McCollum, LeBron and Kyrie. Ferrell was a staple during his reign over Big Ten Basketball. He pushed Indiana to new levels that haven’t been seen in years but unfortunately, he went undrafted. He appeared in 10 games by the Brooklyn Nets and was sent back to the D-League. On January 28th, 2017, the Mavericks signed him and the rest is history. While on his 10-day contract, Ferrell scored 9 points, then 19, then 32 points. He landed a multiyear contract with the Mavs and later was named to the NBA All-Rookie Second Team. He has a bright future ahead of him. Gobert, Diaw, Burks, Exum, Hayward, Hill, Favors… the Utah Jazz was a great team. Going 51-31, the easily slid into the playoffs and defeat the Clippers. Although they were eliminated by the Warriors, Utah played every game well and held their own. This team will be a team to watch out for in the future. Between Groin Kicks, Trash Talk in the Media, and Rough play; this man is hated. Winning his 2nd Ring makes him even more hated. True heel heat. Jimmy Butler quickly took over the spotlight that was left by Derrick Rose and now he’s gone. Butler was traded for Kris Dunn, Zach Lavine and the Number 7 pick in the NBA draft. On paper, this trade was a robbery. In real life, it surely feels the same. The Bulls messed up big time. In the last 6 seasons, the Clippers only made it into the 2nd round on two occasions. So, when the Jazz bumped them out the playoffs, no one was surprised. 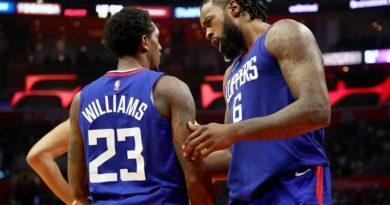 And with Chris Paul, Blake Griffin, and DeAndre Jordan is rumored to leave, the Clippers might not make it to the playoffs next season. The Sixers took one simple quote and made it a trend. With a lack of winning, the Sixers Organization made it up with good social media content to embrace. Honorable Mention: Any team that throws shade and uses GIFs on a consistent basis. The thing that went well for the Kings this season was their new logo and updated colors. It’s nothing like a fresh look that looks good. 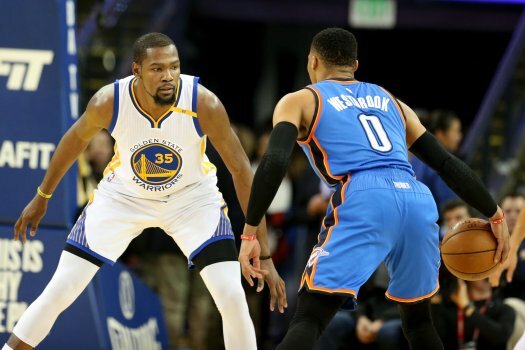 Best Rivalry that Could’ve Turned into a WWE Style Feud: Kevin “the Free Agent” Durant vs Russell “the Fashionable Brodie” Westbrook. This award is an obvious one. KD vs the Brodie was clearly a rivalry that could’ve escalated very quickly. Despite the clean play between the two, both men surely have some heat towards each other. This could be a WrestleMania match.